To mark one hundred years of aerial bombing, we publish this detailed account of the path that led us from bombing cities, forests and target boxes to putting 'warheads on foreheads' in Pakistan and Afghanistan. Derek Gregory argues that our understanding of bombing has been dominated by political and military historians who focus on strategy and social historians who recover the experiences of those who were bombed. But that today the gap between the two – the kill-chain – is too important to be left to buffs and geeks. Read Gregory’s introduction – The American way of bombing: and visit our Shock and Awe conference page. These are not novelists’ flights of fantasy. A veteran of Bomber Command considered it ‘one good thing about being in an aeroplane at war’ that ‘you never see the whites of their eyes… You drop a four thousand-pound cookie and kill a thousand people but you never see one of them.’  ‘A German city was always this,’ wrote a navigator, ‘this hellish picture of flame, gunfire and searchlights, an unreal picture because we could not hear it or feel its breath. Sometimes when the smoke rolled back and we saw streets and buildings I felt startled. Perhaps if we had seen the white, upturned faces of people, as over England we sometimes did, our hearts would have rebelled.’  But they rarely did. One Lancaster pilot thought it just as well ‘that no picture came into his [navigator’s] mind of shattered limbs, of burning clothing, of living bodies crushed by rubble. He only saw a coloured target-indicator, as he squinted through his bomb-sight and thumbed the release button.’  After his first raid another wrote that the fires burning below ‘looked like sparkling diamonds on a black satin background… [T]hey weren’t people to me, just the target. It’s the distance and the blindness which enabled you to do these things.’  This was a common sentiment, and Charles Lindbergh saw it as the very diagnostic of modern war, where ‘one kills at a distance, and in doing so does not realize that he is killing’. Far from imagining ‘writhing, mangled bodies’ on the ground below, he wrote in 1944, it was like ‘viewing it on a motion-picture screen in a theater on the other side of the world.’  Many critics believe that Lindbergh’s metaphor has been realized – and radicalized – in today’s drone wars, where the pilots of Predator and Reaper aircraft are not thousands of feet above their target in Afghanistan or Pakistan but usually thousands of miles away in the United States. More or less as Arnold had foreseen, they view full motion feeds on their screens and in that moment, seemingly, war is turned into a videogame. All familiar stuff, you might think, except that these warnings were not prompted by the appearance of Predators and Reapers in the skies over Afghanistan and Pakistan. They appeared in Harper’s Magazine in June 1972, the condensed results of a study of the US air war in Indochina by a group of scholar-activists at Cornell University. As they suggest, crucial elements of today’s ‘drone wars’ were assembled during the US bombing of Vietnam, Laos and Cambodia in the 1960s and early 70s. A key transition from deliberate to dynamic targeting, from fixed to fleeting targets, comes into clear view during that war, and I will show that this not only reinforced the power of abstraction that animated bombing in the Second World War but also introduced elements that prepared for late modern war in the global borderlands. In the 1960s the combined bomber offensive of the Second World War was still the classical model of deliberate targeting, in which (usually fixed) targets are assigned to aircrews before take-off. There were two kinds of strategic bombing. RAF Bomber Command preferred the area bombing of enemy towns and cities by night, and the US Eighth Air Force prided itself on the precision bombing of military and industrial targets by day. At that time the distinction was more rhetorical than real – while the USAAF made much of the superiority of its Norden bombsight, precision bombing was often terribly imprecise, and the Americans ‘judged themselves by their motives rather than their results’  – but it assumed much more substantive form in Indochina. 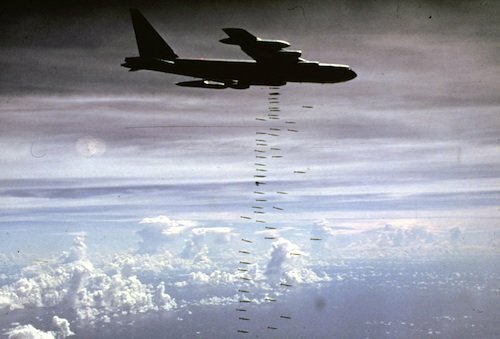 The bombing of North Vietnam placed a premium on precision, whereas many of the most devastating attacks on South Vietnam inaugurated a new form of area bombing. Iconic Image of the war. Credit: US Air Force (USAF). 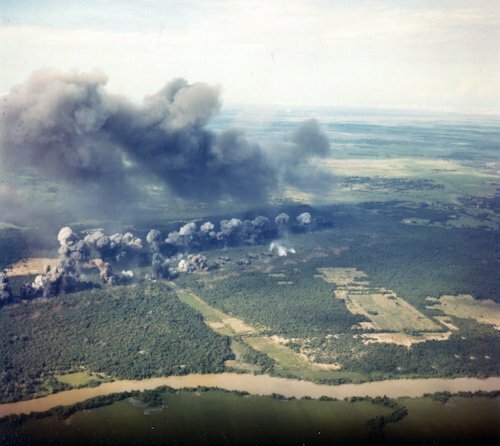 These Arc Light missions issued in a new kind of area bombing – ‘bombing forests’, one Air Force critic called it in despair at the absence of precise targets and bomb damage assessment  – that was no less abstract than the Second World War original. Wright describes a photo-interpreter poring over a roll of aerial photographs ‘to find the enemy in the negative’, ‘totally absorbed into the fascinating realm of carpet bombing, lost among he oddities of the weave.’ This demanded extraordinary attention to detail, but these local textures were quickly converted into abstractions: ‘Griffin was required to translate pictures into letters and coordinates that were instantly telexed,’ and ‘the data went round and round, and where it came out he preferred not to hear… Wherever he put circles on the film, there the air force would make holes in the ground’. Since SAC was primarily a nuclear strike force delivering devastating destructive power, pinpoint accuracy was irrelevant, and those ‘holes’ – vast craters – were distributed across an extensive target box. The first attack was against a box measuring one mile by two miles, and within 30 minutes 1,300 bombs were dropped, ‘slightly more than half of them in the target area’. Throughout the targeting process the language of patterns, areas, circles, holes and boxes erased people from the field of view; bombing became a deadly form of applied geometry. Vast craters were distributed across an extensive target box. Credit: USAF. Inside their air-conditioned compartments five miles above the jungle the war felt "highly impersonal" for the aircrew. Credit: USAF. If there were continuities between the combined bombing offensive and the air wars in Indochina there were also significant differences. Some of the most important turned on the problem of air intelligence. Standard target maps and even radar were insufficient in a ‘war without fronts’ where the situation on the ground changed rapidly. In the North, target sets had to be adjusted as surface-to-air missile sites were moved and oil storage depots dispersed; in the South and along the Ho Chi Minh Trail, a dense tissue of roads and paths running from the North through Laos and Cambodia to the South, it was immensely difficult to detect the clandestine movements of the Viet Cong beneath the forest canopy. The fixity of the map was undone not only by the fluidity of the war but also by the land itself: micro-features used for target identification like river channels or sandbars often shifted from one season to the next so that ‘the ground never did look exactly like the map or the target photos’. One pilot was warned that ‘there are areas of the country where you’d swear that the map and the ground were two different places.’  The air war was transformed by three key innovations that sought to provide time-sensitive intelligence: reconnaissance drones; close-in visual surveillance; and the ‘electronic battlefield’. From October 1964 the Air Force launched reconnaissance drones on programmed flight paths over North Vietnam from C-130A transport aircraft and recovered them by helicopter off Da Nang. The early ‘Lightning Bugs’ were plagued by navigation errors – it was common for flights to complete less than 50 per cent of their planned tracks – but these were reduced when crew on the accompanying aircraft used television cameras to fly the drones. The images, and for a time video film captured on these missions were vital components of target folders, but their effectiveness was compromised by two factors that continued to haunt aerial surveillance long after the war. One was the balance between resolution and coverage: low-level flights (between 200 and 2,000 feet) provided high-resolution but limited coverage, whereas high-level flights (usually at 50,000 feet) opened up the field of view only to have it muddied by cloud and haze. The other issue was the time taken to process and distribute the imagery; recent stills were better than stock photographs, but it could take days for the film to be developed and analysed, and by then potential targets could have been hardened, dispersed or relocated. This was improved by the introduction of a satellite link to transmit the images from Saigon to Washington – for Johnson’s inspection – via Hawaii, where the imagery was analysed and the results uplinked back to Saigon for crew briefings the next day. Satellite links are vital for rapid analysis of the imagery from today’s Predators and Reapers too, and they have dramatically compressed the kill-chain: but the Lightning Bugs were all unarmed. In 1972 the New Scientist, drawing on a report in Air Force Magazine, predicted that in two years time ‘a fleet of new bombers will attack North Vietnam – or some other country’ flown by pilots ‘sitting comfortably on the ground in front of TV screens hundreds of miles away’, and speculated that ‘unmanned drones may be bombing North Vietnam now.’ They weren’t, but by then Nixon had resumed air strikes against the North, and the drones had become so closely integrated into air operations that the USAF relied on them for assessing the effectiveness of the Linebacker raids. In the South the Air Force had been systematically destroying the forest canopy to expose the Viet Cong since 1962. The unmarked aircraft of Operation Ranch Hand (‘Only we can prevent forests’) were described as ‘unarmed’, but that deliberately ignored the deadly effects of the defoliants they dispersed on ecosystems and populations. Yet opening up the field of view was insufficient: just-in-time intelligence was even more important here because counterinsurgency relies on dynamic targeting, in which cruising aircraft are directed to (usually fleeting) targets of opportunity that emerge in flight, and often involves providing close air support to ground troops suddenly finding themselves in contact with the enemy. Killing fields were reduced to abstract geometries: lines on screens and boxes on maps. Credit: USAF. These three basic elements – remotely piloted aircraft, real-time visual surveillance and a networked sensor-shooter system – prefigure the technical infrastructure for today’s drone wars. Each of them has been transformed and brought together in a unified system. The key difference is that the ‘viewing screen’ now occupies a central place and has become indispensable for those who wage remote war – at present principally the US military (in concert with other NATO militaries) and the CIA. For USAF operations in Afghanistan multiple screens are dispersed across a transnational network that includes pilots, sensor operators and mission intelligence coordinators at Creech Air Force Base in Nevada, image analysts and intelligence specialists at US Central Command’s Distributed Common Ground System at Langley Air Force Base in Virginia, senior commanders, staff officers and advisers at CENTCOM’s Combined Air and Space Operations Center (CAOC) at Al Udeid Air Base in Qatar, and Joint Terminal Attack Controllers deployed with ground troops in Afghanistan. For CIA operations in Pakistan most of the network remains in the shadows, but the aircraft are flown from Creech AFB and directed from the CIA’s Counterterrorism Center at Langley in Virginia. These are dramatic changes, and yet the essentials remain the same. In the 1960s the electronic battlefield was seen as heralding ‘the battlefield of the future’, and Westmoreland imagined combat zones under a constant surveillance so the US military would be able to ‘destroy anything we locate through instant communication and the almost instantaneous application of highly lethal firepower.’  Forty years later the use of Predators and Reapers to combine sensor and shooter in a single platform has compressed the kill-chain to such a degree that war seems to have come perilously close to Westmoreland’s vision: so much so that one contributor to Harper’s – this time in 2010 – feared that ‘we are watching the future of warfare unfold in the skies over the Afghanistan-Pakistan border area. How might such a claim be judged? The accuracy of a weapon is given by the Circular Error Probable (CEP), which is measured under ideal experimental conditions and defines the radius from the aiming point within which a missile or bomb will land 50 per cent of the time. The Predator carries two laser-guided Hellfire missiles, with a CEP of 3-8 metres, and the Reaper can carry fourteen Hellfire missiles or four Hellfire missiles and two 500lb GPS-guided JDAM bombs, with a CEP of 10-13 metres. If all the conditions are satisfied, these are certainly much more accurate than the bombs used in the Second World War, whose CEP was often far in excess of 1000 meters, and in Indochina, where conventional bombs had a CEP of 130-140 meters and laser-guided bombs 22 meters. Yet this cannot be what American officials mean when they invoke unparallelled ‘precision’ to endorse the use of remotely piloted aircraft to carry out targeted killings, because conventional aircraft use the same weapons. In any case, the most accurate weapon in the world is useless if the target has not been correctly identified and located, and this inevitably becomes much more difficult as targeting contracts from an area or a box to a person. This is the heart of the matter. An editorial in the Wall Street Journal trumpeted that ‘never before in the history of warfare have we been able to distinguish as well between combatants and civilians as we can with drones,’ and it is surely this – the principle of distinction used to secure a claim to the moral high ground – that the protagonists of the programme seek to emphasize. ‘Distinction’ is thus more than a military-strategic or even an ethical-juridical concept; it is also a political-cultural construct that is made to do political and cultural work. The advocates of these new platforms insist that they alone make possible the networked fusion of persistent surveillance and high-resolution that at last enables – even compels – those involved in the kill-chain to spare innocent civilians. As I want to show, this is too glib by far. It jibes against the common criticism that drone wars are ‘videogame wars’ which inculcate a ‘Playstation mentality to killing’: but I think this is a superficial view too, because it fails to engage with the political technology involved in sighting the enemy in this way. These new technologies require many of the skills used in videogames – including rapid hand-eye coordination, multi-tasking and visual acuity – but this does not automatically reduce war to a videogame. To explain the continued threat to civilians posed by this political technology of vision, I distinguish between near sight, far sight and top sight. Most of the USAF Predator and Reaper flight crews are in the United States, from where they control aircraft over Afghanistan via a transatlantic fibre optic cable to Germany and a Ku-band satellite link; the exceptions are the forward-deployed Launch & Recovery crews that use a line-of-sight data link. But the flight crews repeatedly insist that the real-time video feeds bring them right into the combat zone: that they are not 7,000 miles away but just eighteen inches, the distance from eye to screen. Insofar as this is a ‘videogame war’ then it shares in the extraordinary immersive capacity of the most advanced videogames. This is significantly different from the detachment – the ‘distance and blindness’ – experienced by bomber crews over Germany or Vietnam. And yet the reality-effect this produces may be sufficiently powerful - where remotely piloted aircraft are providing armed overwatch or close air support - to convert proximity not distance, visibility not blindness into a serious problem. In such cases remote vision is limited, paradoxically, by near sight. Persistent surveillance means that flight crews come to ‘know’ their areas of operation in a particular way; they interact regularly with troops on the ground through live video feeds and online communications, and the intimacy created by these new forms of military-social networking can predispose them to interpret the actions of others in the vicinity as a threat to their comrades and to precipitate lethal action. ‘There’s no detachment,’ one officer explained. ‘Those employing the system are very involved at a personal level in combat. You hear the AK-47 going off, the intensity of the voice on the radio calling for help. You’re looking at him, 18 inches away from him, trying everything in your capability to get that person out of trouble.’  This is version 2.0 of the ‘personalized’ war described by FACs in Vietnam now transformed by new communications technologies and the formalized process of image analysis. 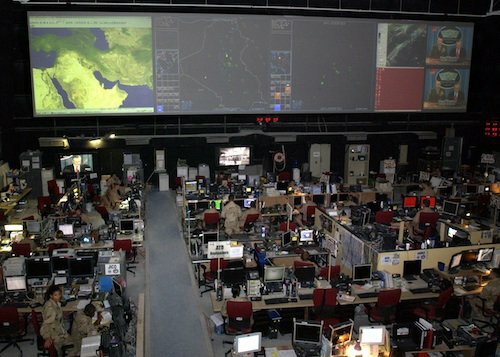 From Nevada, knowledge of the war zone is indexed by frequency not familiarity – it comes from ‘actuarial surveillance’  – and Afghanistan remains an alien landscape where common ground is confined to the virtual presence of coalition troops on the screen and in the online chat-rooms. Where hunter-killer missions do not involve close contact with ground forces then different considerations apply. In these situations attacks depend on airborne surveillance and signals intelligence, and in a remark that echoes the controversy that swirled around the electronic battlefield, John Nagl, one of the architects of the current US counterinsurgency doctrine, declared that ‘we’re getting so good at various electronic means of identifying, tracking, locating members of the insurgency that we’re able to employ this extraordinary machine, an almost industrial-scale counterterrorism killing machine that has been able to pick out and take off the battlefield not just the top level al Qaeda-level insurgents, but also increasingly is being used to target mid-level insurgents.’  Just as the critics of the electronic battlefield predicted, a reliance on ‘target signatures’ substitutes for local knowledge of the cultural landscape, but now aggravated by the use of formalized methods of analysis that compound the distance effect. Horrors like these are supposed to be prevented, or at least mitigated, by the introduction of a normative armature to targeting: near sight and far sight modulated by oversight. In Vietnam, ‘collateral damage’ – the term was invented during that war – was limited by a political calculus. Johnson boasted that the Air Force could not bomb an outhouse in the North without his approval, and air strikes in the South required at least nominal clearance from provincial political leaders. But in both cases there were few legal restrictions. International law was conspicuously silent about air war, not least because the process that produced the Geneva Conventions in 1949 was dominated by the states that had the most experience of bombing, while those with the most experience of being bombed – Germany and Japan – were excluded. Operational law remained strikingly undeveloped, and apart from one judge advocate in Thailand who scrutinised target lists in North Vietnam, military lawyers were not involved in the targeting process. The situation changed dramatically after Vietnam, however, and today the risk of civilian casualties is a vital consideration throughout the kill-chain, driven by the requirements of international law, notably the Additional Protocols to the Geneva Conventions (1977), and the prospect of international scrutiny. USAF targeting is now a quasi-judicial process in which visuality is a central modality. Targets must be positively identified from more than one source, and can only be attacked if a visual ‘chain of custody’ is maintained. Continuous observation is thus mandatory, so that the persistent presence of a remotely piloted aircraft becomes indispensable. A pattern of life analysis is conducted not only to acquire individual targets but also to determine the presence of civilians; collateral damage estimates are made using a classified ‘physics-based’ program integrated with the RainStorm precision targeting system; casualties may be mitigated by changing or modifying the ordnance to be used (‘weaponeering’). This refined process retains the objectivist, calculative logic of earlier kill-chains, but its language shows that it has become a quasi-juridical exercise too. Judge advocates are now stationed on the combat operations floor of the CAOC in order to provide expert counsel to commanders on the ‘prosecution’ of the target. They are required to consider international law, the Rules of Engagement and any special instructions, but they also have their eyes on the screen, monitoring up to 20 different chat windows at any one time and reviewing onscreen target folders containing imagery and other intelligence. Judge advocates are now stationed on the combat operations floor of the CAOC. Credit: USAF. Our understanding of bombing has been dominated by political and military historians who focus on strategy and social historians who recover the experiences of those who were bombed. These are vital contributions, but the gap between the two – the kill-chain – is too important to be left to buffs and geeks. Too often, focusing on strategy can make air war seem as clinical as its ‘progressive’ proponents proclaimed, and yet by the time we crouch under the bombs and give voice to the victims it is too late. We need to understand not only why the thing was done and with what consequences, but also how. In tracing the twisting lines of descent from the Second World War through Indochina to Afghanistan and Pakistan, I hope I have not minimized the differences between them. Swift’s descendants of the Lancaster bomber are not being used to destroy cities, and their targets are not the victims of the ‘faceless’ war described by Deighton – at least not where they seek out known and named individuals. The same cannot be said of those who carry out the attacks, however, and in a powerful critical commentary on the drone strikes in Pakistan two counterinsurgency proponents, David Kilcullen and Andrew Exum, described ‘a frightened population’ living under a constant threat from ‘a faceless enemy that wages war from afar. Their point is a double one. They allude to the perpetual envelope of terror under which ordinary people are obliged to live (and die), and when we read accounts of air raids during the Second World War ­­– the wail of the sirens, the crowded shelters, and the thud of the anti-aircraft guns – we should remember that the people of the borderlands hear no warning, have no place of refuge, and have no means of defence. Kilcullen and Exum also invoke a peculiar horror that is seemingly attached to war from a distance. And yet air wars have always been fought from a distance, and war more generally has a complex, developing relation to the spaces through which it is fought. By its very nature, bombing produces an alternation between different spaces. In his classic account of The Command of the Air, published in 1921, Giulio Douhet noted that ‘by virtue of this new weapon, the repercussions of war are no longer limited by the farthest artillery range of guns, but can be felt directly for hundreds and hundreds of miles.’ He predicted that in the future ‘the battlefield will be limited only by the boundaries of the nations at war, and all of their citizens will become combatants, since all of them will be exposed to the aerial offensives of the enemy. There will be no distinction any longer between soldiers and civilians. These were prophetic words, and that last sentence has haunted the wasteland of bombing for more than ninety years. And yet, even as it transformed the reach of military violence and rewrote the geography of armed conflict, dissolving the old boundaries between the front-line and the home front, when air war was conducted from ground stations rather than aircraft carriers it also re-established a distance between the relative security of the bases from which aircraft took off and the targets that they attacked. Pilots and their crews were hardly commuters to war, and they faced extraordinary danger as they flew through hostile air space, but if they returned safely it was usually to relative safety. Critics make much of today’s Predator and Reaper crews driving from home to the (remote) killing zone every day, but this is not the complete break from the past that they imagine it to be. In short, I think it is a mistake to turn distance into a moral absolute. Pilots and crews in Nevada are 7,000 miles from their targets, but is this experientially any more remote than the B-52 crews flying from Guam to bomb targets five miles below them in South Vietnam? If distance is the issue (and I’m not sure that it is) at what point does wartime killing become acceptable? In posing these questions I don’t mean to say that nothing has changed since Vietnam either: Predators and Reapers do not carpet bomb whole landscapes. To be sure, many writers have drawn parallels between Vietnam and Afghanistan – and, again, there are differences too – but if Vietnam was a quagmire then Afghanistan-Pakistan threatens to become a vortex. If the battle space is now global, and if the United States claims the right to use lethal force against its enemies wherever it finds them, then what happens when other states claim the same right? And when non-state actors possess their own remotely piloted aircraft? I began with Virginia Woolf’s thoughts during an air raid. She ended her essay with these lines: ‘Let us send these fragmentary notes to the huntsmen who are up in America, to the men and women whose sleep has not yet been broken by machine-gun fire, in the belief that they will rethink them generously and charitably.’ I hope that fragments of this essay might give pause for thought to today’s huntsmen and the masters of war busily cocking their Predators and Reapers. Acknowledgements: This essay is an early and extended version of a contribution to Peter Adey, Mark Whitehead and Alison Williams (eds), From above (forthcoming, 2012). The research from which it derives has been supported by a grant from the Social Science and Humanities Research Council and is part of a larger project, ‘Killing space: targeting, techno-culture and the art of bombing.’ I owe a particular debt to Dan Clayton for his generosity in sharing his own research into the Vietnam War with me, and his incisive and characteristically constructive comments on a first draft. I am also grateful to Oliver Belcher, Keith Feldman, Craig Jones, Joanne Sharp and Marilyn Young for helpful discussions and to Peter Adey for his encouragement and remarkable patience. Daniel Swift, ‘Bomb proof’, Financial Times, 4 September 2010; idem, Bomber County: the poetry of a lost pilot’s war (London: Hamish Hamilton, 2010; New York: Farrar Straus and Giroux, 2010). Mark Clodfelter, Beneficial bombing: the progressive foundations of American air power, 1917-1945 (Lincoln: University of Nebraska Press, 2010). That said, Swift, Bomber county, p. 38 claims that ëbombing to the Second World War was what the trenches were to the First: a shocking and new form of warfare, wretched and unexpected, and carried out at a terrible scale of loss.í In fact it was neither new nor unexpected, but the unprecedented scale and scope of strategic bombing confirmed the predictions of the so-called ëprophetsí who believed that air power would create a ënew battlefieldí limited only by the boundaries of the belligerent states ñ the distinction between combatant and civilian would be lost forever ñ and, crucially, that ëcommand of the airí would be of decisive importance to the outcome of the war. See, for example, Giulio Douhet, The command of the air (trans. Dino Ferrari) (Tuscaloosa AL: University of Alabama Press, 1988 (first published in Italian in 1921). A.P. de Seversky, Victory through air power (New York: Simon & Schuster, 1942) pp. 138-9. Seversky was lionized by Walt Disney in an animated film version the following year that celebrated the prospect of devastating air raids against Japan. Donald Miller, Masters of the air (New York: Simon & Schuster, 2006) pp. 299-303, 415; Ronald Shaffer, ëAmerican military ethics in World War II: the bombing of German civiliansí, Journal of American History 67 (1980) 318-334: 326-7; Michael Sherry, The rise of American air power: the creation of Armageddon (New Haven: Yale University Press, 1987) p. 187. The radio remote-control system could not handle take-offs, and so volunteer crew took the aircraft up 2,000 feet, when they handed control to operators in the ëmother shipí before parachuting to safety. Derek Gregory, ëDoors into nowhere: dead cities and the natural history of destructioní, in Peter Meusburger, Michael Heffernan and Edgar Wunder (eds) Cultural memories (Dordrecht: Springer, 2011) pp. 249-282. Len Deighton, Bomber (London: Jonathan Cape, 1970; reissued by HarperCollins, 2009) p. 383. Graham Swift, Out of this world (New York: Vintage 1993; first published 1988) p. 47. James Taylor and Martin Davidson, Bomber Crew (London: Hodder & Stoughton, 2004) pp. 282-284. Don Charlwood, No moon tonight (Manchester: CrÈcy, 2000; first published in 1956) p. 131. Jack Currie, Lancaster target (Manchester, CrÈcy, 1997) p. 79. Taylor and Davidson, Bomber Crew, pp. 283, 447. Charles Lindbergh, whose wartime journals are quoted in Sherry, Rise of American air power, pp. 209-10; although Roosevelt was suspicious of Lindberghís involvement with the America First movement and refused to reinstate the Air Force commission that he had resigned after Pearl Harbor, Lindbergh flew tactical combat missions in the Pacific in 1944 as a civilian technical adviser. ëThe American way of bombingí, Harperís Magazine, June 1972, pp. 55-8; Raphael Littaeur and Norman Uphoff (eds) The air war in Indochina (Boston: Beacon Press, 1972; revised edition) pp. 159, 163. This argument is one of the (several) towering achievements of Sherry, Rise of American air power, especially the closing chapters; see also Kenneth Hewitt, ëPlace annihilation: area bombing and the fate of urban placesí, Annals of the Association of American Geographers 73 (1983) 257-284; cf. Barrett Tillman, Whirlwind: the air war against Japan 1942-1945(New York: Simon & Schuster, 2010). I donít discuss the air war in Korea in this essay for reasons of space, but it is an important part of my overall project; there were continuities between the two but also significant differences ñ in air intelligence, close air support and interdiction but also in geography ñ and the intervention of the Chinese cast long shadows over subsequent US strategy in Vietnam: see Conrad Crane, ëRaiding the beggarís pantry: the search for airpower strategy in the Korean Warí, Journal of military history 63 (1999) 885-920; William Momyer, Airpower in three wars (Montgomery AL: Air University Press, 2003). Richard G. Davis, Carl A. Spaatz and the air war in Europe (Washington DC: Smithsonian Institute Press, 1993) p. 435; see also Tami Davis Biddle, Rhetoric and reality in air warfare: the evolution of British and American ideas about strategic bombing, 1914-1945 (Princeton NJ: Princeton University Press, 2002); Randall Hansen, Fire and fury: the Allied bombing of Germany 1942-1945 (Toronto: Doubleday Canada, 2008). Robert Pape, Bombing to win: air power and coercion in war (Ithaca: Cornell University Press, 1996) p. 174; W. Hays Parks, ëRolling Thunder and the law of warí, Air University Review 33 (1982) 2-23. The ësticksí were sticks of bombs; the ëcarrotsí a series of bombing pauses. Johnson put it differently: he compared the slow escalation of the air war in the North to ëseduction not rapeÖí: James William Gibson, The Perfect war: Technowar in Vietnam (New York: Atlantic Monthly Press, 2000) p. 329. The vocabulary of sexualized brutality saturates this war, like so many others: see Jennifer Milliken and David Sylvan, ëSoft bodies, hard targets and chic theories: US bombing policy in Indochinaí, Millennium: Journal of International Studies 25 (1996) 321-59: 335-6. When the US Air Force was separated from the US Army after the Second World War it established its own Directorate of Targets responsible for the compilation of the ëBombing Encyclopedia of the Worldí (later re-named the Basic Encyclopedia). Work started in January 1946 on potential targets in the Soviet Union and in six months IBM cards were punched for 5,594 targets; the database quickly became global and by 1960 it contained 80,000 entries. Mark Clodfelter, The limits of air power: the American bombing of North Vietnam (Lincoln: University of Nebraska Press, 2066; 2nd edition) pp. 76-7; Charles Kamps, ëThe JCS 94-Target Listí, Aerospace Power Journal 15 (1) (2001) 67-80. Kamps makes it clear that the proposals were shaped by the bombing campaigns of the Second World War but they were no simple extension: see also M.E. Smith, ëThe strategic bombing debate: the Second World War and Vietnamí, Journal of contemporary history 12 (1977) 175-9. Some of Johnsonís advisers saw a closer parallel, notably W.W. Rostow, who traded on his war-time experience with the Economic Objectives Unit and provoked Maxwell Taylor, Chairman of the Foreign Intelligence Advisory Board, and a former Army Chief of Staff, to complain that ësome of our bombing advocates still think in terms of World War II and forget there is really no industrial target system in Vietnam worthy of its nameí: David Milne, ëìOur equivalent of guerilla warfareî: Walt Rostow and the bombing of North Vietnam, 1961-1968í, Journal of military history 71 (2007) 169-203: 183, 198. Rostowís enthusiasm for bombing casts a revealing light on his no less dismal desire to impose an American ëtake-offí model of development on the rest of the world. Clodfelter, Limits, pp. 84-8; John Smith, Rolling Thunder: the strategic bombing campaign against North Vietnam 1964-1968 (Walton-on-Thames UK: Air Research Publications, 1994) p. 58. David Humphreys. ëOn the Tuesday Lunch at the Johnson White House: a preliminary assessmentí, Diplomatic History 8 (1984) 81-101. I have described an ideal-typical sequence; Humphreys describes the lunches as orderly affairs, but Clodfelter believes that the results were frequently muddied ñ after talking with Rusk and Rostow, ëyou would think they had attended separate lunchesí ñ and the information given to the JCS was sometimes equally confusing. Certainly JCS targeting proposals were often ignored, and very few of its original 94 targets were attacked in the opening phases of the campaign: Clodfelter, Limits, pp. 121-3; Smith, Rolling Thunder, p. 58. Revising the Rules of Engagement (ROE) was one thing; implementing them quite another. Newly arrived pilots were not cleared to fly combat until they had passed a test on the ROE, and Rasimus describes studying a tattered loose-leaf binder four inches thick, compiled in chronological order as the rules evolved. The test was so heavily annotated ëonly a blind man could fail to distinguish the right answers for the 25 multiple-choice questionsí and ëno one would be a Rules-of-Engagement lawyer after taking the test, but someone could always say that all of the pilots were trained in the ROE.í Ed Rasimus, When Thunder Rolled: an F-105 pilot over North Vietnam (New York: Presidio/Random House, 2003) pp. 65-6. Peter Braestrup, ëUS morale high at Thai base, but raid curbs are resentedí, New York Times, 13 March 1967; Harrison E. Salisbury, ëNo military targets, Namdinh insistsí, New York Times, 31 December 1966. John Correll, ëThe emergence of smart bombsí, Air Force Magazine 93 (2010) 60-64; see also David Koplow, Death by moderation: the US militaryís quest for useable weapons (Cambridge: Cambridge University Press, 2010). A designator aircraft ëpaintedí the target with a laser beam, and strike aircraft locked on to its reflection. See Perry Lamy, Barrell Roll, 1968-1973 (Research Report, Air War College, Maxwell Air Force Base, 1995) p. 65. Joint Chiefs of Staff, History of Vietnam War (II) 1965-67 [Vietnam Center and Archive, Texas Tech University] p. 24-3. John Schlight, The war in South Vietnam: the years of the offensive, 1965-1968 [The United States Air Force in Southeast Asia] (Honolulu HI: University Press of the Pacific, 2002; original 1998) p. 50; Donald Mrozek, Air power and the ground war in Vietnam (Maxwell AFB: Air University Press, 1988) pp. 139-140; William Head, War from above the clouds: B52 Operations during the Second Indochina War (Maxwell AFB: Air University Press, 2002) pp. 17-32. These were all ëpre-planned strikesí, and although a few months later JCS and MACV were given a freer hand ëin special emergency situationsí, by January 1966 139 targets out of a total of 149 had had to be authorized in Washington, which took 24-30 hours. Targets were nominated by the commander in each of the four Combat Tactical Zones and then evaluated by the Special Targets Section at MACV; the recommended daily priority list was reviewed and approved by Westmoreland himself: Frankum, Rolling Thunder, p. 77. Head, Above the clouds, p. 24; the same critic also called it ëoperational masturbationí. Stephen Wright, Meditations in green (New York: Bantam, 1984) pp. 39-40, 53. Joseph Treaster, ëAboard B-52 bomber high over Vietnam a crew takes part in an impersonal warí, New York Times, 13 October 1972. Fighter-bombers attacked at lower altitudes but they too saw little. ëWe are going four or five hundred knots, and we canít see much ourselves. Iíve never seen a body or a person yet, and Iíve been on over a hundred missionsí: Jonathan Schell, The real war (New York: Da Capo Press, 2000) p. 276; Schellís reports were originally published in the New Yorker in 1968. Joint Chiefs of Staff, History, p. 24-8; MACV Directive 525-3: ëCombat Operations: Minimizing Non-combatant casualtiesí; Schlight, War, p. 83. One Forward Air Controller offered a stark translation of a free fire zone, ëif it moves, shoot it; if it doesnít move, blow it upí: Mike Jackson, Naked in Da Nang: a Forward Air Controller in Vietnam (St Paul MN: Zenith, 2004) p. 25.
icult, and for this reason Skyspot strikes within 3,000 feet of friendly forces were prohibited. 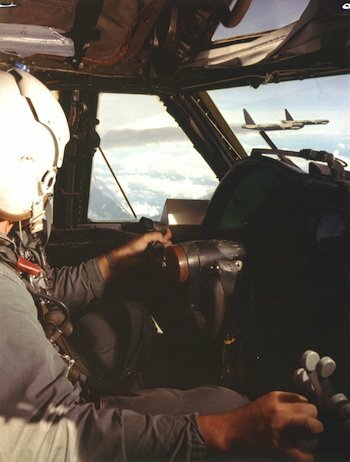 In its original form Skyspot was used for pre-planned targets, but in early 1968 the system was refined into Bugle Note so that B-52 cells could be guided to an emergent target of opportunity by the ground controller: Robert Harder, Flying from the Black Hole: the B-52 navigator-bombardiers of Vietnam (Annapolis MD: Naval Institute Press, 2009) p.110. Bell, 100 Missions, p. 177. Marshall Harrison, A lonely kind of war: forward air controller, Vietnam (Xlibris Corporation, 2011; original 1997) p. 3. Thomas Ehrhard, Air Force UAVs: the secret history (Arlington VA: Mitchell Institute for Airpower Studies, 2010) pp. 23-29; Ronald Frankum, Like Rolling Thunder: the air war in Vietnam 1964-1975 (Lanham MD: Rowman and Littlefield, 2005) pp. 96-7; Robert Barkan, ëThe robot airforce is about to take offí, New scientist, 10 August 1972. See David Zierler, The invention of ecocide (Athens GA: University of Georgia Press, 2011). Schlight, War, pp. 47, 74. Harrison, Lonely, p. 152. The colonial-frontier figuration of that last sentence is by no means unusual: President Johnson urged US troops to ëbring the coonskin homeí from Vietnam and ënail it to the barní. For a discussion of the role of frontier imagery in the Vietnam war, see Richard Slotkin, Gunfighter nation: the myth of the frontier in twentieth-century America (New York: Atheneum, 1992) Part V.
 Jackson, Naked, p. 24. But he was also keenly aware of his distance from the ground below: ëYou never really get a close view of whatís happening down thereÖ It was never a matter of making a conscious effort to separate myself from the starkness of jungle warfare below me; it just happened. In the thick of an air strike, I was 100 percent engaged, nerves taut, adrenaline pumping. I made the decisions, sweated the results, cleaned up the mess, then left it all behind me and flew on to the next thing. As events unfolded, they were frantic and immediate and real. But, suddenly, it was over and it wasnít real anymore, at least not the kind of real that gets under your skin and lies there twitching. Plexiglass and distance protected me, gave me the sense that I was in the action but not completely part of ití (p. 194). 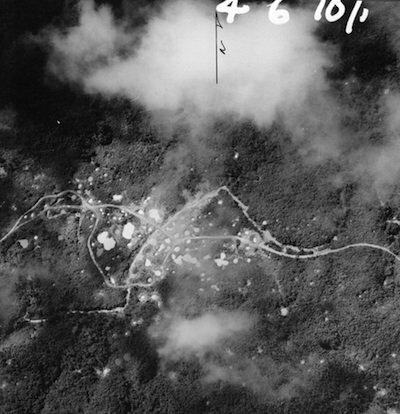 Seymour Deitchman, ëThe ìElectronic Battlefieldî in the Vietnam Warí, Journal of military history 72 (2008) 869-887; Mark, Aerial Interdiction, pp. 327-363; see also Anthony Tambini, Wiring Vietnam: the electronic wall (Lanham MD: Scarecrow Press, 2007). George Weiss, ëThe Air Forceís secret electronic warí, Indochina Chronicle, 15 October 1971; idem, ëBattle for control of the Ho Chi Minh Trailí, Armed Forces Journal, 15 February 1972, 19-22; see also Herman Gilster, The air war in southeast Asia (Maxwell AFB: Air University Press, 1993) pp. 16-56; Bernard Nalty, The war against trucks: aerial interdiction in southern Laos, 1968-1972 (Washington DC: Air Force History and Museums Program, 2005). Gibson, Perfect war, pp. 396-7. Weiss, ëSecretí; Paul Dickson, Electronic battlefield (Bloomington: Indiana University Press, 1976) p. 88. Dickson, Electronic battlefield, pp. 86-7; William Rosenau, Special Operations Forces and elusive enemy ground targets (Santa Monica CA: RAND, 2001) p. 13. Paul Dickson and John Rothchild, ëThe electronic battlefield: wiring down the warí, Washington Monthly, May 1971. My discussion is confined to Afghanistan and Pakistan, but the United States has also deployed remotely piloted aircraft in Iraq, Libya, Somalia and Yemen, and there is a ramifying network of bases around the world: see Nick Turse, ëAmericaís secret empire of drone basesí, TomDispatch, 17 October 2011. The other major exponent of drone warfare is Israel, which has also leased or sold remotely piloted aircraft to Australia, Canada, France and Germany. Where remotely piloted aircraft are used by Joint Special Operations Command (JSOC) the network includes commanders and image analysts at USAF Special Operations Command at Okaloosa in Florida. Westmoreland was addressing the US Army Association in Washington DC on 14 October 1969; see Dickson, Electronic battlefield, pp. 220-1. Scott Horton, ëThe trouble with dronesí, Harperís Magazine, May 2010. 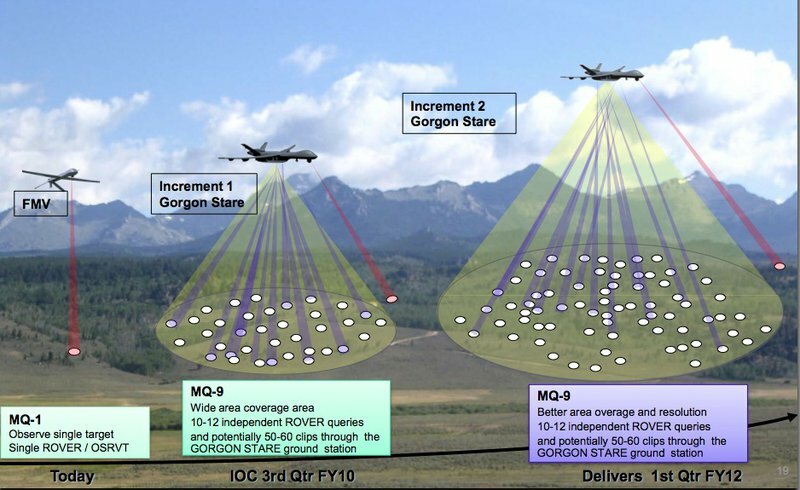 The time from finding to engaging emergent targets is now 30-45 minutes; the USAF currently aims to reduce this to less than two minutes, and some commentators think it can be compressed to seconds by 2025. See Adam Herbert, ëCompressing the kill chainí, Air Force Magazine 86 (3) (2003) 50-54. Littauer and Uphoff, Air war, p. 160. Bomber was written at the height of the Vietnam war, and Deighton remembers wondering what would happen ëif I wrote a story in which the machines of one nation battled against the machines of another?í He didnít, of course; he showed that the combined bomber offensive was no algorithmic war but one that constantly demanded decisions that could not be delegated to machines (though they were constantly mediated by them). Gravel was speaking in October 1971 and was quoting Noam Chomsky, At war in Asia: essays on Indochina (Oakland: AK Press, 2004; first published 1970) p. 67. Chomsky also reported that one Pentagon official had offered a ëYear 2000í view of ëthe instrumentation of the entire battlefieldí, ëwith little lights that flash for different kinds of activity. This is what we require for this ìporousî war where the friendly and the enemy are all mixed togetherí (p. 68). Peter Finn, ëA future for drones: automated killingí, Washington Post, 19 September 2011. Deitchman, ëElectronic battlefieldí, p. 887. McGovernís speech was delivered on 14 December 1971 and is excerpted in ëAutomated warfareí (January 1972) p.2, Folder 01, Box 02, Douglas Pike Collection: Unit 03 - Technology, The Vietnam Center and Archive, Texas Tech University. Schlight, War, p. 258. When Schell asked a group of Forward Air Controllers how they distinguished Viet Cong from Vietnamese civilians, apart from the straightforward ëif they shoot at youí, he was given a range of dispiriting answers: ëanything out in the open is friendly, so anything you see in the trees you suspect is unfriendlyí; ëif they run is one way [you can tell]Ö So you make a couple of passes and one of them makes a breakÖ So you look where he goes and call in an air strike.í And yet, as Schell noted, almost all the houses were built in the shade of tree lines, and most ordinary Vietnamese had every reason to flee American planes: Schell, War, pp. 285, 302-6. Although there are continuing experiments in detecting voice signatures and chemical signatures (emitted by IED factories) the sensors used in todayís remotely piloted aircraft are not primarily acoustic or seismic but optical; the advocates of these platforms make much of their capacity to make the battle space ëtransparentí, and it is this political technology of vision that I focus on here. The Gorgon Stare and the ARGUS-IS are designed for the Reaper, but the sensor system designed for the RQ-4 Global Hawk, a high altitude, unarmed remotely piloted aircraft, can cover more than 100,000 square kilometres in a day. The Global Hawk is manufactured by Northrop Grumann, which purchased the company that made the original Lightning Bugs in 1999. Michael Flynn, Rich Juergens and Thomas Cantrell, ëEmploying ISR: SOF Best Practicesí, Joint Forces Quarterly 50 (3) (2008) 56-61: 58. Pat Biltgen and Robert Tomes, ëRebalancing ISRí, Geospatial Intelligence Forum, 8 (6) (2010) 14-16; Paul Richfield, ëIntell video moves to a Netflix modelí, Government Computer News, 6 April 2011; http://www.geotime.com. Arnie Heller, ëFrom video to knowledgeí, Science and Technology Review April/May (2011) 4-11: 6. Avery Gordon, Ghostly matters: haunting and the sociological imagination (Minneapolis: University of Minnesota Press) p. 16. Schlight, War, p. 37; Rebecca Grant, ëArmed overwatchí, Air Force Magazine 91 (12) (2008) 40-44. Remotely piloted aircraft and helicopters are used to track and intercept vehicles for stop and search by ground troops: see, for example, http://www.marines.mil/unit/mcascherrypoint/Pages/druginterdiction.aspx. But this is not the equivalent of blind bombing the Ho Chi Minh Trail. Col. James Garrett, ëNecessity and proportionality in the Operation Enduring Freedom VII Campaign [February 2006ñFebruary 2007]í, US Army War College Strategy Research Project, 20 March 2008) pp. 19-25; Nick Davies, ëAfghanistan war logs: Task Force 373 ñ Special Forces hunting top Talibaní, Guardian 25 July 2010. This is consistent with the most recent counterinsurgency doctrine; FM 3-24 calls this ëpersonality targetingí (ß5-30). Flynn, Juergens and Cantrell, ëEmploying ISRí, 59; Anna Mulrine, ëWarheads on foreheadsí, Air Force Magazine 91 (10) (2008) 44-47. For discussions of JSOC operations in Afghanistan, see Dana Priest and William Top secret America: the rise of the new American security state (New York: Little, Brown & Co., 2011) pp. 221-255; they claim that JSOC ñ which includes USAF components ñ ëflies ten times more drones than the CIAí. Cf. Sean Murphy, ëThe international legality of US military cross-border operations from Afghanistan into Pakistaní, George Washington University Law School, Public Law and Legal Theory Working Paper, 451/Legal Studies Research Paper 451 (2009); Mary Ellen OíConnell, ëUnlawful killing with combat drones: a case study of Pakistan, 2004-2009í, Notre Dame Law School, Legal Studies Research Paper 09-43 (2009); Jordan Paust, ëSelf-defense targetings of non-state actors and permissibility of US use of drones in Pakistaní, University of Houston Public Law and Legal Theory Series 2009-A-36; forthcoming in Jnl. Transnational Law and Policy 19 (2010). Eyal Weizman, ëThanato-tacticsí, in Adi Ophir, Michal Givoni and Sari Hanafi (eds), The power of inclusive exclusion: anatomy of Israeli rule in the occupied Palestinian territories (New York: Zone Books, 2009) pp. 543-573. Weizman reports that airborne assassination started as a ërare and exceptional emergency methodí but has since become a standard operating procedure, particularly in Gaza, where most killings were carried out by conventional aircraft or helicopters until 2004 when the Air Force started to use swarms of remotely piloted aircraft. Brian Glyn Williams, ëThe CIAís covert Predator drone war in Pakistan, 2004-2010: the history of an assassination campaigní, Studies in conflict and terrorism 33 (2010) 871-892. Tara McKelvey, ëInside the killing machineí, Newsweek 13 February 2011; Mark Hosenball, ëSecret panel can out Americans on ìkill listî, Reuters, 5 October 2011; Partha Chatterjee, ëHow lawyers sign off on drone attacksí, Guardian 15 June 2011; Priest and Arkin, Top secret America, pp. 202-11. I have taken the lower estimates from the Long War Journal at http://www.longwarjournal.org/pakistan-strikes.php, and the higher estimates from the Bureau of Investigative Journalism at http://www.thebureauinvestigates.com. Jeremy Scahill, ëThe secret US war in Pakistaní, The Nation, 23 November 2009; idem, ëThe expanding US war in Pakistaní, The Nation, 4 February 2010. Adam Entous, Julian Barnes and Siobhan Gorman, ëCIA escalates in Pakistaní, Wall Street Journal, 2 October 2011; Priest and Arkin, Top secret America, pp. 202-3; Greg Miller and Julie Tate, ëCIA shifts focus to killing targetsí, Washington Post, 1 September 2011; Adam Entous, Siobhan Gorman and Julian Barnes, ëUS tightens drone rulesí, Wall Street Journal, 4 November 2011.. In Afghanistan civilian casualties are recorded by the United Nations Assistance Mission to Afghanistan; important field work has been done by Human Rights Watch ñ see Troops in Contact: Airstrikes and civilian deaths in Afghanistan (2008) ñ but this has been criticized by Marc Herold who has maintained a sobering dossier of civilian victims of US Bombing in Afghanistan since 2001: see http://pubpages.unh.edu/~mwherold. In Pakistan estimates have been compiled from press reports by the New America Foundation, the Long War Journal and the Bureau of Investigative Journalism, but the best work has been done on the ground by the Campaign for Innocent Victims in Conflict, which, in addition to identifying the multiple actors causing harm to the civilian population, also gives the victims a voice as well as a number: see Christopher Rogers, Civilian harm and conflict in North West Pakistan (Washington DC: CIVIC, 2010). Michael Hirsh, ëSlow dance: Obamaís romance with the CIAí, National Journal, 11 May 2011; Chris Woods, ëThe CIA drone strike that rewrote the rulesí, at http://www.thebureauinvestigates.com/2011/07/18/the-cia-drone-strike-that-rewrote-the-rules. The CEP assumes that ordnance will be normally distributed around the target, so that with a CEP of n meters, 50 per cent will be within n meters of the aiming point, a further 43 per cent within the range nñ2n, and less than 7 per cent within nñ3n. This is an assumption ñ it is not always met ñ and neither are the controlled conditions under which the CEP is determined realized in practice. See Carl Conetta, Disappearing the dead: Iraq, Afghanistan and the idea of a ënew warfareí (Cambridge MA: Commonwealth Institute, Project on Defense Alternatives, Research Monograph, 2004) p. 25. Wall Street Journal, 9 January 2010; even if this claim can be sustained, its ethical implications ñ ëSmarter weapons like the Predator make for a more moral campaigní ñ are not quite so straightforward: see Maja Zehfuss, ëTargeting: precision and the production of ethicsí, European journal of international relations 17 (2010) 543-66. The aircraft are stationed and maintained at bases in Afghanistan ñ until recently some CIA-controlled Predators were also based in Pakistan ñ but the distance from the United States imposes a 1.8 second delay in control inputs (ëlatencyí) that makes it impossible for pilots in Nevada to perform take-offs and landings. This delay also reinforces the importance of using guided weapons. Megan McCloskey, ëTwo worlds of a drone pilotí, Stars & Stripes, 27 October 2009. Tyler Wall and Torin Monahan, ëSurveillance and violence from afar: the politics of drones and liminal security-scapesí, Theoretical criminology 15 (2011) 239-254: 240; cf. Allen Feldman, ëOn the actuarial gaze: from 9/11 to Abu Ghraibí, Cultural studies 19 (2005) 203-226, who emphasizes ëthe hierarchical distance [of the actuarial gaze] from everyday life structuresí (p. 206). That this was a JSOC operation presumably explains why there is no trace of the Predator mission in the daily airpower summaries issued by US Central Command. I provide a fuller discussion in Derek Gregory, ëFrom a view to a kill: drones and late modern warfareí, Theory, culture and society 28 (6) (2011) pp. 00-00; for the raw account, and a redacted transcript released under a Freedom of Information request, see David Cloud, ëCombat by camera: anatomy of an Afghan war tragedyí, Los Angeles Times, 10 April 2011. The only known case of US troops being killed by friendly fire from a Predator ñ in Helmand province on 6 April 2011 ñ has been attributed to the same combination of misidentification and miscommunication; image analysts had doubts about the targets but ëdid not believe they should intervene to block an airstrikeí if there were a potential threat to ground troopsí. This was compounded because in the Upper Sangin Valley the Marines had revised their procedures to speed up Predator strikes to prevent ëdelay of missions by injection of commentsí from image analysts. See David Zucchino and David Cloud ëU.S. deaths in drone strike due to miscommunication, report says,í Los Angeles Times, 14 October 2011; David Cloud and David Zucchino, ëMultiple missteps led to drone killing US troopsí, Los Angeles Times, 5 November 2011. Troops in Contact, p. 30. Gregory, ëFrom a view to a killí, pp. 00-00. Frontline (PBS), ëKill/Captureí, 9 May 2011 (written and produced by Stephen Grey and Dan Edge). David Cloud, ëCIA drones have broader list of targetsí, Los Angeles Times 5 May 2010; Adam Entous and Siobhan Gorman, ëCIA strikes strain ties with Pakistan furtherí, Wall Street Journal 29 August 2011; Charlie Savage, ëWhite House weighs limits of terror fightí, New York Times 15 September 2011. Similar questions have been raised about night raids in Afghanistan too: Alex Strick van Linschoten and Felix Kuehn, ëA Knock on the Doorí, Afghan Analysts Network Thematic Report 10 (2011). Clarke, ëTakhar attackí, p. 5. Terrie Gent, ëThe role of Judge Advocates in a Joint Air Operations Centerí, Air Power Journal, 13 (1) (1999) 40-55. Discussions of the legality of the air war were retrospective and confined to Rolling Thunder and Linebacker. Joint Targeting Cycle and Collateral Damage Estimation methodology, Joint Chiefs of Staff General Counsel, 10 November 2009; this briefing was made public following a FOIA request from the American Civil Liberties Union. ëSensitive targetsí, including attacks where the collateral damage estimate exceeds 35 deaths, require approval from the Pentagon: Priest and Arkin, Top secret America, p. 214. Garrett, ëNecessity and proportionalityí; Chatterjee, ëLawyersí; Priest and Arkin, Top secret America, p. 215; Beard, ëLaw and warí; Col. James Bitzes, ëRole of an Air Operations Center Legal Advisor in Targetingí, presentation to Drones, targeting and the promise of law, New America Foundation, Washington DC, 24 February 2011. Michael Schmitt, ëDrone attacks under the Jus ad bello and the Jus in bello: clearing the ìfog of lawîí, in Michael Schmitt (ed), Yearbook of international humanitarian law 13 (2010) pp. 311-26: 320; Jack Beard, ëLaw and war in the virtual eraí, American Journal of International Law 103 (2009) pp. 409-45. Beard may well be right, but the only video records of questionable strikes have been released by Wikileaks. Col. Gary Brown, quoted in Charles Dunlap, ëCome the Revolution: a legal perspective on air operations in Iraq since 2003,í in Raul Pedrozo (ed), The war in Iraq: a legal analysis (Newport RI: Naval War College, 2010) pp. 139-154: 141. Amitai Etzioni, ëThe ìsecretî matrixí, The world today 66 (7) (2010) 11-14: 14. Beard, ëLaw and warí, p. 438; see also Patricia Owens, ëAccidents donít just happen: the liberal politics of high-technology ìhumanitarianî warí, Millennium: Journal of International Studies, 32 (2003) pp. 595-616. Tom Engelhardt, ëAmericaís permanent robot warí, Guardian, 4 October 2011; Transcript, Department of Defense Bloggers Roundtable with Col. Gary Brown, 27 May 2009. Beard, ëLaw and warí, p. 419. Anne Orford, ëThe passions of protection: sovereign authority and humanitarian warí, in Didier Fassin and Mariella Pandolfi (eds), Contemporary states of emergency: the politics of military and humanitarian interventions (New York: Zone Books, 2010) pp. 335-356: 339. David Kilcullen and Andrew Exum, ëDeath from above, outrage down belowí, New York Times, 16 May 2009. Giulio Douhet, The command of the air (trans Dino Ferrari) (Tuscaloosa AL: University of Alabama Press, 1998) (first published in Italian, 1921) pp. 9-10.